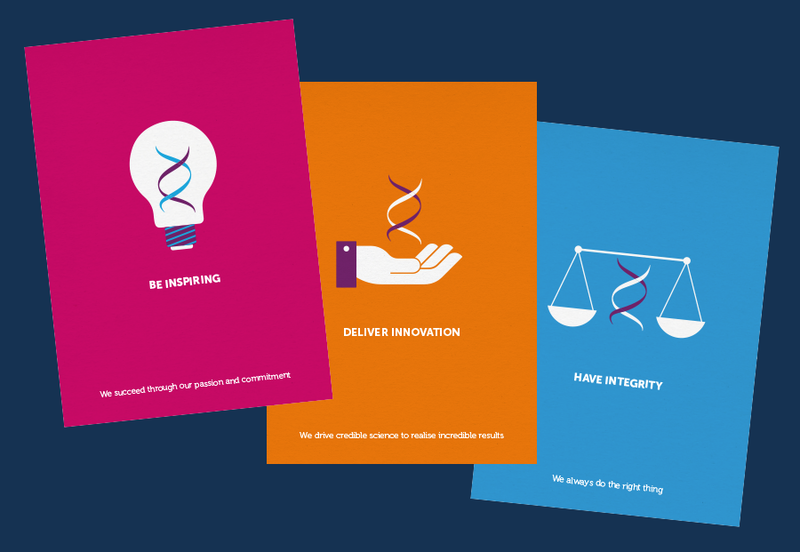 Starfish was approached by Oxford Biomedica to create a suite of icons to illustrate their company values. The three icons all incorporate the firm's logo and represent the values of inspiration, integrity and innovation. The icons have so far been rolled out onto posters and digital assets.